Hard to believe, but it has been since around 2007 since we actually got a new monthly contact lens. (The Purevision2 lens that launched a few years ago was a recycling of an older material). In these past seven years, the market has shifted drastically towards daily use lenses, but monthlies continue to dominate the marketplace due to their excellent price points for every day lens wearers. The big knock against monthlies? Comfort. Wouldn't it be nice if they made a monthly lens that felt a lot more like a 2 week or a daily lens? Well, maybe Bausch and Lomb has finally accomplished just that. Bausch and Lomb's Ultra lens is made from a new silicone hydrogel material, with excellent oxygen permeability (dk/t is 163 for a -3.00D lens!). The real draw of this lens is the edge profile design. Designed by the guy (sorry I don't have his name) who worked to bring Acuvue Oasys to the market for Vistakon, the new Ultra lens has an 8.5 base curve and an incredibly thin edge, causing very limited lens awareness as the eyelids blink. Another bonus? The Ultra lens also has aspheric design optics, giving an extra boost to vision based on average amounts of distortions on the eye (called spherical aberrations) for individual powers. Biofinity is the only other monthly lens besides Bausch and Lomb's products to offer aspheric technology (but theirs are averaged over much broader power spectrums). Here comes my personal review: I have to make a disclaimer though that I haven't worn monthly lenses in about 5 years. And it is allergy season in North Carolina, and while I have been persistent with my Lastacaft, I am still having irritation when I wear contact lenses (it is just a bad time of year here for allergy sufferers). With all that being said, I was overall impressed with Ultra. The initial comfort was spectacular -- very similar to Acuvue lenses in fit and feel. I can't say that I felt vision was better than any other contact lens, but I am not excessively particular to vision (I have a low Rx). I was able to wear the lens quite comfortably, except for intermittent allergy issues, for 18 hours. And the best part -- typically in monthly lenses my eyes feel like sandpaper when I remove the lenses at night. But with Ultra the lens came off comfortably and without burning or stinging. One other plus, is anyone else sensitive to the preservative-filled storage solutions of most contact lens packages? That burning and stinging when you put a new lens in your eye means that you are. The Ultra lens it is stored in a great, low-preservative solution (their Biotrue formula), so there is no initial discomfort for solution-sensitive wearers. Do you have older patients that need a good handling tint to see their contact lenses in the packaging? I was impressed with the strong blue handling tint of this lens because most lenses on today's market are nearly invisible. This is not an issue for most, but as an optometrist it is great to have a lens that older patients would be able to see. Other perks of Ultra: Bausch and Lomb is rolling out this lens with a universal pricing policy, meaning that you are guaranteed to pay the same price whether you buy from your doctor or an online retailer. They will also have rebates with the initial roll out, to help save you even more money (something Ciba did not do when they started this policy with their Dailies Total 1 lens). 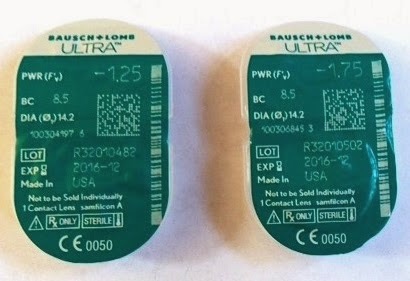 Another little tidbit: the new Ultra lens will be replacing Bausch and Lomb's current Purevision 2 lens, so if you are an optometrist, start moving your patients over. There is no set timetable for the transition away from Purevision 2, but the new lens has the same vision perks, but with better comfort. Purevision 2 has lost market share since its recent roll out, falling to an abysmal 2-3% market capture, and is being recycled potentially to another retailer as a "generic" type lens Not sure that this is set in stone so I won't give any firm statements. In summary, I think Bausch and Lomb's Ultra might have the right combination of comfort and vision to become a major power player on the monthly scene. It should make for the easiest transition yet for Acuvue wearers wanting to change to a contact lens approved for monthly lens wear. Would I switch to Ultra? Absolutely not -- you can never happily go back to monthlies once you experience the amazing-ness that is daily contact lens wear. But I do think this was the best monthly lens that I have had on my eyes, and I can't wait to see what my patients think when we get the fitting set next month. Keep me updated on your personal opinions and experiences with this lens! It really depends (great answer, I know!). If you have a patient with a flat K reading (under 43.00D would make me lean this way), I think Biofinity might be a better choice. In my initial trials of the Ultra lens, I have found it can fit a little steep (actually quite similar to Acuvue Oasys). But for a steeper cornea, or for someone having comfort issues with Biofinity then the Ultra lens may be a great alternative without having to change to more expensive 2 week or daily modalities. It is great to have a new option in the monthly lens arena that fits more like a 2 week lens with its thin edge profile, but with added moisture and oxygen! I tried Ultra but had a reaction and my eyes became red and inflammation occurred in one eye badly but I am not 100% sure the inflammation was caused by the lens. I went back to Purevision 2. I was disappointed but I am fine in Purevision 2. I had the same reaction in my left eye. It even hurt the next day. I had the same issue with my left eye. My eye became red and inflamed and I have been having issues ever since starting the Ultra contacts. I am having the same issue with my left eye. These Ultras are the only contacts that have ever given me an issue. Was so excited to try these but I too had an issue. I could see great but both eyes became red and inflamed. Had to go to the local medi-center to get relief. She did some tests and said both eyes were scratched around the 6 or 7 o'clock area if you were thinking of your eye as a clock. My optometrist talked me into these incredibly expensive contacts and it was a huge waste of money! The trial pair gave me no problems so I ordered a few boxes and the very first pair burned my eyes so badly I thought I must have done something wrong. I tried a second pair a few days later (after my eyes had healed a bit) and had the same burning, stinging sensation. Their return policy only applied to unopened boxes so at $60 a box and having a different prescription in my eyes, I was out $120! I've had the cheapest Walmart contacts all the way to Acuvue Oayses and have never experienced anything like this. I've been wearing contacts for 20 years, so I am a long time wearer. I noticed the article says that the contacts are stored in Biotrue, I have used that solution to store my contacts for years, so it was not the solution. I used to wear biofinity mounthly. biofinity are very confortável over 12-16 hours day. I am testing Bausch & long ultra. I cant tell the diference betwin both brands. The lenses biofinity and ultra looks very similar. Ultra apears to look more thin. Both are hoje tainted. Ultra lenses have Numbers Marks to tell you the right side to wear. Biofinity cant tell you the right side to wear only can tell you if it is correct by looking for its u shape. I found your review searching for more information about these lenses. There is very little available at this time. I use extended wear contacts and wondering if B&L will bother getting these lens approved for that. I read one other place that stated they were told they would. I emailed B&L and they just said not approved yet and keep checking. Do you have any information on about that ? I also wonder if they told any OD they could be worn extended wear. I find their description odd because they say monthly and weekly. Well, that makes no sense unless its extended wear. Plus common sense is how could they not be. They have more water, lower Modulus and higher DK/t than Purevision or PV2. I also don't need any comments about wearing over night, I been doing that for around 35 years and no problems. Just use common sense and don't over use them. To many people lie about how they use contact lens, plus the litigation mess here in the USA. I certainly haven't read anything about PV2 being shut down, but it kind of makes sense. I'm surprise about such a low usage you stated, considering how well liked they seem to be. I wear them and Biofinity. Both are OK but PV2 works some better for me. I cannot wear anything by CIBA. I'm also not sure I like these new lens having the same edge as Oasys. There are more than a few bad comments on Oasys, but maybe its because so many are sold. But that steep edge design isn't liked in some papers I read on edge design or some OD. One OD has on their site--It is steep at the edge which pinches off the tear flow under the lens. This causes unhealthy tears under the lens which leads to a higher incidence of corneal ulcers and inflammation. Also said its the most abused lens on the market. There is a lot of people that's had those problems after leaving regular Acuvue. I don't think they all are lying or other companies posting. I agree that Daily is more clear overall, but I hate putting them in every morning and hate not wearing them at night also. I never try cleaning a lens and getting involved with all that solution stuff. Remind me of 30 years ago. If I take a lens out, I throw it away. So many problems cause by that handing and solution mismatch. I tried the hyped Dailies Total 1 after they finally made their way into the USA. They are clear for distance but really bad for me up close, plus sometimes felt like they would come out of my eye. Also tried Coopervision new one, Myday and its better to me. No idea why they used a BC of 8.4 though. Well, if B&L won't bother trying to get FDA approval on extended wear, then maybe other countries like Canada and in Europe will. They would be all I'd need to see. The FDA still has the original Acuvue approved for 6 nights. Plus, at least B&L is releasing them first in the USA and not all over the world first like most have been doing. But sounds like they are trying to use price fixing and that's only good for the eye care people. Sorry for the long comment... But I am interested in this lens for extended wear. Until this lens is tested by the FDA for extended wear, we won't have any official statement from Bausch and Lomb. The approval of drugs and medical devices in the US is a long and financially strenuous process. Bausch and Lomb would have to apply for testing to get their lens approved for overnight wear, and (I don't work for the company mind you) I have been placed under the impression that they have decided not to invest time and money doing so under the current FDA leadership. Until the FDA tests and clears this lens for such overnight wear, I always recommend following federal guidelines because that is all we can safely abide by. Thanks for the reply. I looked after May 30th and didn't see it so no idea why. I mention extended wear because as I said, that's all I'm interested in. Also another site that is doing trials said B&L was going to get it from the FDA. But really considering how it compares to other lenses its obvious as a monthly lens it can be worn overnight. If they get it released in other countries and they approve it then of course its OK. The FDA isn't that great and no better than Europe. I mean Biofinity is approved for 30 days CW in Canada, Europe and plenty of other places, but only 6 days by the FDA. I heard the FDA no longer approves 30 day lenses. But I never go over about 7-10 days anyway. But maybe B&L is still mad over the problem they had with the FDA with PV2. I haven't check lately but in the USA B&L change it back to daily wear. Mostly because they called it HD. Funny because its listed as 30 CW also almost everywhere. Sounds like I'll have to wait quite awhile to even try them or other countries to approve or not. If that time comes and they fit me good, then the ophthalmologist I see with have to deal with the fact ill wear them overnight regardless of the FDA. Air Optix has bi-aspheric technology and based on the package insert on their website, their Dk is 114, where are you seeing 163? The Dk/t is published on their materials as 163 in a -3.00 lens for the Ultra lens. They also list the Dk/t of several competitor lenses if you are interested. Dk will be a different value than Dk/t of course, so it could be we are looking at different numbers? Dk/t is really oxygen transmissibility for the material, whereas Dk is just diffusivity and solubility of oxygen in the material. Interesting to hear your thoughts. Surely dailies are better for keeping your eyes hydrated? Buying lenses online seems to be a popular thing (and cheaper) to do now. If you buy online, or have considered doing so in the past, you’re not alone. 50% of contact lens wearers are the same according to www.lenscompare.co.uk. This suggests that the eyecare industry needs to improve efforts to ensure that customers are better educated about contact lenses – both in terms of the advantages they offer and the correct ways to use them safely. Absolutely, dailies are always the best option for comfort and hydration. I really love lenses like Dailies Total 1 or Acuvue 1- Day Moist for high demand moisture needs. The Ultra lenses can in no way compete with the aforementioned dailies, but they are a very comfortable option when compared to other monthlies, and also feel very comparable to 2 week lenses in their comfort. If you give dailies a chance, most people would never consider going back; the comfort is that much better. Acuvue 1-Day Moist were irritating and drying...Acuve Oasys were actually a lot better. I was surprised. why does no one ever mention that dailies have a low oxygen permissibility? I think the biggest reason is that every daily is different. 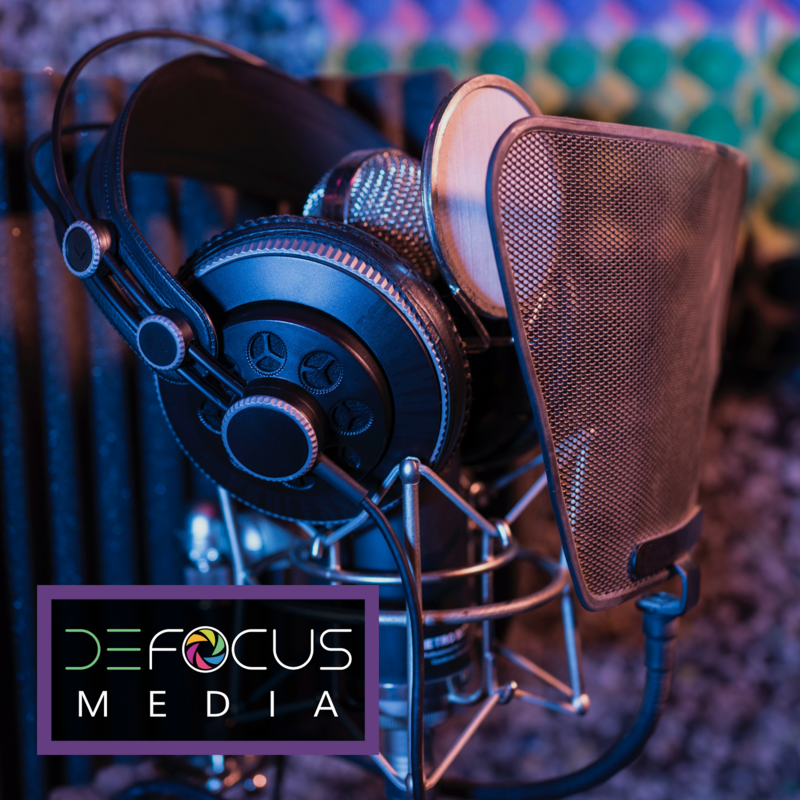 Lenses like Dailies Total 1, Acuvue Oasys 1 day, Acuvue Trueye, and MyDay all have Dk/t numbers over 100-- as high as most monthly lenses. There are other dailies with lower Dk/t like Solfens daily and Acuvue 1 Day Moist, but these have no less oxygen transmissibility than their 2 week versions by the same name (Soflens and Avuvue 2). Since you are throwing the lens away after 1 day, the concept is it is much safer than wearing these materials for 2 weeks since there is no deterioration of the lens. In a 2 week or a monthly lens, you start with a Dk/t number at day one, but that oxygen transmissibility deteriorates as the lens ages. That's one of the reasons why old lenses are more prone to infection. With a daily lens, you never lose oxygen transmissibility -- you get the same amount every day because it's always a new lens. It's true that if my patient has extensive corneal scarring or pannus I would choose a high Dk/t daily lens though. On an average patient with no health issues, I think a consistent Dk/t that doesn't deteriorate is still extremely safe in comparison to multiple wear lenses. 2016 i have to get multifocal lenses as i have turned 40+ and i researched the web vastly and decided to try cooper vision daily multifocal 'clarity 1'. boy! was i surprised! this lenses were very very comfortable and naturally brighter than all other brands i have tried so far. now i am considering to get their biofinity but not sure whether to get daily wear or montyly wear version. I've been wearing a sample pair of these for 3 weeks now after having used Acuvue Oasys lenses for years. These are absolutely great lenses for the first 2 weeks. Now in the 3rd week I am starting to notice my eyes becoming dryer earlier in the day. I really can't see these being legitimate 4 week lenses. If these were sold as 2 week lenses I would absolutely love them. It sounds like the lens is drying out on the computer for you. I would strongly recommend trying a daily disposable lens, like the Biotrue One Day if you wanted another B&L product. Dailies are a great solution for this type of issue because they are thinner and more moisturized to provide better all day comfort and vision. I have the same problem! My eyes are burning after a couple of hours wearing the Ultra lenses, but I do look at the computer all day. I have to use eyedrops multiples times a day but even that doesn't stop the burning after about 3 weeks of use. I want to switch back to Acuvue but already bought a whole year's worth of Ultra using my insurance... gah. The good news is that if you bought your contact lenses through your doctor's office they almost universally offer the ability to exchange your lenses for the product you prefer without penalty. Just tell your doctor you want to switch back and exchange out the supply you bought from them. If you bought from a retailer you may have trouble however. My son is having same problem as July 11. They feel great for a couple weeks then he has to replace. No way one is lasting a month! Thinking of taking him back to doctor for a different brand. I bought a year's worth and it's not going to last him that long. Thanks all for the post and the respective comments. I Googled for reviews on Ultra because I wondered if others also had blurry vision after a couple of weeks. Glad to know it isn't just me. I think I'm going to go back to the Acuvue Oasys. At this time I have to limit discussion in the comments to the lenses themselves and not the price, so I apologize to anyone whose comments were removed. Feel free to post any discussion on the lenses themselves, but I don't want to condemn a company for the price they set for their lenses. We can agree or disagree with that price, but that is a personal decision to purchase the lens or not. I found this review as I was looking to see if anyone else has a problem inserting the Ultra lens. I've worn contacts of some sort for decades, and I've tried every trick I know, but the lens doesn't want to adhere to my eye. I don't blink it out -- it won't go in to begin with. My optometrist says he hasn't heard of the problem from other patients, and I like the comfort/vision of the lens once I finally get it on my eye. Am I alone on this? Thanks! This may sound crazy, but try putting a small drop of saline or rewetting solution into the bowl of the contact lens while it is still on your finger. Then insert the lens but bend forward to keep the lens more upright so that you don't dump all of your fluid out before insertion. The rewetting drop will create a different surface for adhesion to your cornea and should help with that initial "stick". YES! I have been looking online to see if anyone else has this problem. I'm like you... worn contacts for 33 years... just pop them in quickly. Takes less than 30 seconds. These lenses? I never could get my right one in today. So I opened a new package of my old lenses, and pop... went right in. I am calling my optometrist today and seeing about getting replacements because I cannot see myself using these for a year. The ultra lenses gave me GPC. If anyone is experiencing dryness or irritation, that is exactly what I had in the beginning but ignored. They aren't worth it. Definitely GPC is a possibility with this lens if you are sensitive to silicone hydrogel. Oddly enough many people will experience less GPC issues with this product because there is such a low coefficient of friction, but there's no way around a silicone sensitivity. Definitely a great example of why no doctor recommends one lens for everyone. I had read the review and get many details and useful information's. Keep sharing. I have a slighhhhht, barely there, astigmatism in right eye. Which is better for adherence and comfortability? Air Optix or this Bausch and Lomb? I've used these Ultras (B&L) contacts off and on for a month, and I did get some fuzziness. I am a paralegal so I stare at a computer 24/7. Which lens would be better for not becoming blurry from staring at a screen??? Thanks! Which lens is better will depend on your personal chemistry-- you may find both dry out at the computer. Theoretically the Ultra lens would be better at masking your small amount of astigmatism since it has aspheric optics. Both lenses claim superior moisture content for combatting dryness. If both lenses are still leaving your eyes dry, I would recommend trying a daily lens with aspheric optics like Bausch and Lomb's Biotrue 1 Day. Hi, between Air Optix Night & Day and the Bausch + Lomb Ultra, which would you say is more breathable and healthy for your eyes? I haven't been to the eye doctor in ages and recently went to a different place. They recommended these saying they're new and super breathable and healthy for your eyes. I have terrible habits with contacts and fall asleep with them on from time to time (which why I plan on getting corrective surgery in the future), so in the meantime, which do you think is better health wise and for my bad habit? Both lenses have high oxygen transmission to the eye (both have over 100 Dk/t) but of these two lenses only Air Optix Night and Day is FDA approved for overnight wear. Sleeping in lenses always increases your risk for injury or infection, so if you remove them every night you would be safer. If you know you can't be trusted to not fall asleep without removing your lenses first, Air Optix Night and Day is the only lens of those two that has been FDA cleared for sleeping in. I had to switch. I either got makeup on them while in my eye...or something that made my vision blurry. I would take them out and soak them in overnight solution(twice) and whatever it was....would NOT COME OUT. I've worn the same makeup for years and worn contacts for 20 years. $70 a box it too expensive for a contact that doesn't last more than two days. Does anyone else have a problem where something gets on the contact but will NOT come off? Definitely you are not alone! This lens and most monthly wear contact lenses are made out of a material called silicone hydrogel. Silicone helps make the contact lenses more breathable and reduces the risk for corneal damage from contact lens wear. But silicone also is extremely hydrophobic, which means it sticks to any lipid/oil based debris it comes in contact with. Mascara, eyeliner, skin creams, even some patients with oily tear film will have excessive lens debris as it adheres to the silicone material. For those patients, hydrogel lenses without silicone usually work better. I've been having the same problem with mine. I was given this new brand to try in August but I've only been able to wear each pair for a week or two at the most and then something sticks to them and I can't get it off. I've even done the overnight peroxide cleaning and it still doesn't come off. Never had this problem with any other contacts I've worn over the past 30 years. Definitely not worth the money if they don't last a month. Me too! I am so relieved, I thought I was alone in this and/or going crazy. But I tend to have this problem only in my left eye and no matter what I do to try to clean the lens (every solution out there including the bubbling kind, rubbing, etc) it doesn't come off and I end up going through a lens that should last me 30 days every 7-10 days :( I was in Acuvue Oasys before this and never had that problem. Hello, My doctor prescribed me the Bausch & Lomb Ultra. They are a little more pricey than what I use to wear. Anyhow now my eyes remain blurry and red. Even after I take my lenses out I can not focus. Not sure what the problem is but it is irritating. I tried to get the doctor to give me back my old lenses but he said these were better. Wish he had just left me in my weekly lenses instead. If your eyes are red and blurry you definitely need to schedule to see your doctor again. The contact lens may not be the right match for your eye chemistry, or it may be a problem totally unrelated, but irritated eyes and blurry vision is never normal. Wearing Acuview for years and tried Ultra twice and both times after a few weeks my eyes started ithing aND I have to take them out. Forget it. Bausch and Lombs Ultra contacts have gotten stuck under my eyelid on two separate occasions. I am never going to be using these contacts again. As an optometrist I find that typical chat groups attract those with negative experiences. Most of those I fit in the Ultra find it significantly more moist, that is, less dry. If the lens fits tight, which seems to be the most common reason for failure, then I have to go back to their previous lens. That happens in about 20% of cases at most. Dr L's comment about each person being different is gold. Your spouses experience means nothing to yours. No lens fits everyone and those who sleep in lenses are asking for trouble. It will occur some day. The ultra is an unique lens. It has silicone in the middle for oxygen, but a thin shell of hydrogel, the original soft lens material, for moisture and resistance to deposits. Brilliant design. Maybe they will offer a second flatter base curve option to treat the tight lens issue. Acuvue did that although very few patients ever needed to flatter lens option. Reply to James Hemmig, OD: I found your response so interesting. I am currently trying the Bausch&Lomb Ultra for astigmatism. I have also previously had LASIK, so I have a hard to fit (flat) cornea. I find the vision with this lens to be better and definitely more stable than with the Biofinity toric lens I've previously worn. However, I am having a (dis)comfort issue with the lens that has been hard for me to find the words to describe - it feels like my eye is "suffocating". I'm wondering if this could be what you described as the lens fitting tight? I'm not sure if I could get used to this. (By the end of the day, my facial muscles are tired too - as if I've been winking all day or something). The biofinity torics (monthly) definitely move around more on my eye, but I may have to go back to them. Any other suggestions/thoughts? (I believe I have tried Acuvue in the past and found them to be too uncomfortable). Thanks. I am brand new to contacts and still trialling the biofinity monthly. I am 53 and was told a few years ago I had dry eyes so was using drops for a while. It seems like this sensation of dry eyes is not uncommon then - and this was why I was attracted to these lenses (looking at the ones for presbyopia). Now I am worried seeing all the negative comments. I also don't really understand the various tolerances - like the lenses I use now are 8.6 BC and 14.0mm Dia ... does this mean that this is the only size I can ever wear? Is there some website that might explain what all these numbers mean and how new people can go about trying different lenses without worrying they may be getting something too small or big? Those numbers are a guide for your doctor when they see fitting issues - nothing that you have to worry about as far as how you will see or how the lens retains hydration. Some people can wear every size and shape lens on the market because they are just so average; other people are more unique in shape and need something specific. Every time your doctor prescribes a lens, they evaluate the way the lens fits and moves to insure there is proper oxygen exchange and centration. Your doctor does all the work for you! Do the ultras offer uv protection? I've been trialing B&L Ultra for presbyopia for about a month now. I am only getting 1-2 weeks at best wear before they tear at the edging. I have also experienced a haziness that simply won't go away. Feel like I'm back to square one and since I'm a difficult fit due to my extreme nearsightedness, eye dr. feels done with me. I have another appointment with my doctor on the second but have you seen where many patients get "smudges" in one eye? I trash a contact every 5-20 days for the smudges that I cannot get to come off, right eye only. Love how the ultra's wear but this is very frustrating. They have given me almost a whole box of replacements due to this but this visit we're going to have to switch things up I think. I’ve seen this issue in patients with meibomian gland dysfunction before! Definitely keep working with your doctor, there could be an underlying eye issue. Thanks for this review. I originally used Pure Vision many years ago then Pure Vision 2 and now Ultra for a year now. The Pure Vision line was great for me and now the Ultra is even slightly better (for me at least). The ability to stay moist and comfortable all day and night have been great. A real good dry eye test for contacts is when you're on a long flight - and the Pure Vision / Ultra have been good for me. I have tried a couple of other lenses in the past (non-Silicon Gel types) but they were bad for me (dry) on flights. Coopervision's Biofinity are also quite good too - crisp vision and quite moist for all day & night wear for me - but my biggest problem with them is that they were very difficult to remove from my eye...very slippery. It was too much of an issue that I did not go with these a few years ago when trying them out to compare to Pure Vision. I have a high prescription around -11.00 and so the Air Optix Night & Day are ones I haven't tried yet. But as others have mentioned - I have not seen Contact Lens that are great for everyone - every Contact Lens has a % of users where there is some issues for them due to fit, deposit buildup, reaction to material, etc. I actually prefer lenses like these that last 2 weeks or a month with the flexibility to wear overnight when needed - parties, overnight flights, weekend camping trips, etc. So far for my eyes and prescription (-11.00) the Pure Vision and now Ultra's have been great for me. "you can never happily go back to monthlies once you experience the amazing-ness that is daily contact lens wear". Exactly the reverse of my experience - once I tried my first monthly night-n-days (Acuvue bifocals, quite a few years ago), I kissed goodbye to the daily fiddling about, and have never missed it. I take the monthlies out for a soak maybe once or twice a month; on other days some Blink-n-Clean drops clear the gunk quite satisfactorily. Recently the Optobloke put me on to AirOptix Multifocals and I'm much more aware of them sitting in my eyes, so I'm looking forward to trying the Ultras. Going to change optometrists too! Finally got some Ultras after a long wait for delivery. Probably the most comfortable lenses I've ever had. Generally sleeping in them, with occasional overnight soak. But last night I woke feeling what I thought was a particularly large blob of "sleep" (schraum, to the Irish) in the inner corner of one eye, so I pinched it out of the eye and dropped it towards the bedside rubbish bin (and missed). Then noticed that the LED clock across the room was out of focus to the left eye - the thing had been the lens, all bunched up! Somehow my lids had scrunched it together and pushed it over half out of the eye! Could have also been doing some rubbing with my fingers while asleep I suppose. So the thinness and flexibility does have a downside. Still think they're good though. The FDA hasn't officially cleared these for overnight wear, just as a heads up. Bausch and Lomb has applied for approval though for up to 6 nights. Yes 6 nights seems reasonable - or maybe 4 or 5. I'm finding that they get a bit gummy by maybe the 5th night. Incidentally, since the odd one crept out of my eye, I've just left the other one in. In the past the occasional optometrist has suggested that I should try a distance lens in one eye and a near lens or nothing in the other, and I've always thought it sounded silly. Now that I'm doing it by accident, it's actually working quite well - can see in focus (and have distance perception) to infinity _and_ read books and the computer screen! Not sure if I'll do it indefinitely, but will persist for a while. You can also send in your Ultra concerns to Scott Steffen at the FDA's dept which handled contact lens and their PMA's. B&L now has a PMA to promote Ultras for wearing a week at a time. My OD says sounds crazy if they get that smudeged on a daily basis. Have you had better success fitting the Ultra multifocal or Biofinity multifocal? I wear Biofinity Energys now and love how comfy they are. Used to wear single vision Oasys for years. I’m 42 and after wearing the Energys for two years near vision deterioration is noticeable when using my cell phone. I am in a -7.50 now so not sure which lens at that power is easier to fit in a multifocal. I fit both of them in my office! The Ultra Multifocal is a bit more streamlined (only Low and High add powers), and it's a newer product design, but both have a place in my clinic. As far as the Ultra multifocal goes, it is an 8.5mm vs 8.6mm for Biofinity multifocal, and 14.2mm vs. 14mm for Biofinity. My sweet spot seems to be 8.6/14.0. How does that extra .2mm affect oxygen permeability? Does the 8.5 base curve also affect oxygen since it’s a tighter fit? I am leaning towards trying the Ultra since the multifocal version does not sacrifice dk/t as the Biofinity multifocal does. Thinking back to Oasys, they would start feeling tight towards the end of the day. Those differences are not considered statistically significant in the literature review because they can't be standardized across the population as a whole. The reason why is because base curve is not directly related to loose or tight fits - though it is a component of it. What really matters with a fit is sagittal depth of the lens: this is your cornea's diameter and curvature in relationship to the curvature and diameter of the contact lens. That's why an 8.5 lens fits perfectly on patient A, and is too tight on patient B, and too loose on patient C. It's very person to person.